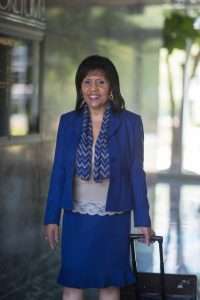 Donita King continues her commitment in providing individuals and companies alike a wide range of effective Alternative Dispute Resolution services before turning to litigation. As a former corporate in-house and general counsel for Fortune 100 companies for more than twenty-four years, Ms. King has direct and first hand knowledge in how ADR practices work in civil areas. Upon moving to the Virginia area, Ms. King decided to add ADR services in the family area (international & domestic), and was a founding partner in CMG Collaborative Law Offices for over 10 years. Ms. King is certified as a mediator by the Supreme Court of Virginia and is an approved ADR trainer and mentor, also by the Supreme Court of Virginia. In addition, she is also an approved Collaborative Law Trainer and FINRA authorized arbitrator and mediator. As of 2019, Ms. King is one of a select number of participants who have met all the requirements and received certification as an appellate mediator for the Court of Appeals of Virginia Mediation Pilot Project. Ms. King is an active member of the greater Richmond community. Ms. King is a member of the Virginia, Pennsylvania, and D.C. State Bars. She also serves as a University of Richmond School of Law Adjunct Professor of Mediation. In Virginia, Donita King previously served on the Virginia Bar Association Joint ADR Council (2015 Chair), and served for several years on the Governor of Virginia’s Interagency Dispute Resolution Council. Ms. King currently serves as a board member of the Virginia State Bar Disciplinary Board by appointment of the Virginia Supreme Court. Ms. King has also been active with the Hispanic Chamber of Commerce, Hispanic Women in Business. Se habla espanol.